These stunning armchairs, chairs and sofas become indispensable components in building a modern interior with elements of glam and exotic. Any of these items that are no less successful will be created a dominant and vibrant atmosphere, decorated in a minimalist style, which is the best accentuate their individuality. 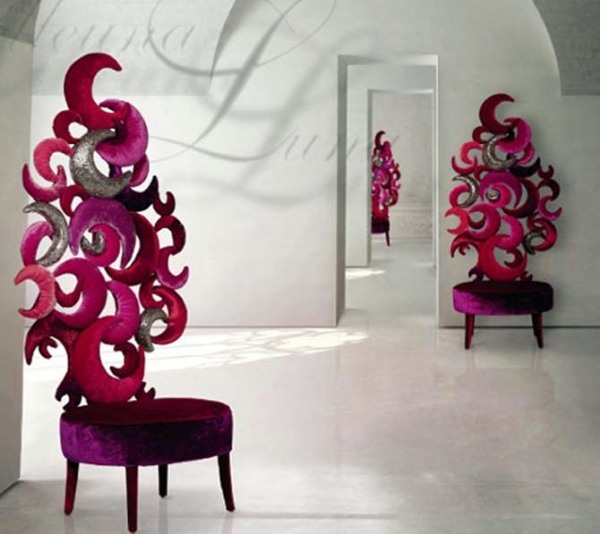 Furniture from Sicis Next Art is simply glamorous. However, the same can be said about almost all the proposals from the company Sicis, for example, bath-slipper for girls, which we once wrote in a previous publication. Sensual and surreal, luxurious and conceptual, these things, better to say these masterpieces that combine comfort, functionality and bright stylish design. Unusual furniture designed by Italian designer Carla Tomeo, made with great attention to detail, so that every part of it is the result of the fine and high-tech work.